Visa requests of a United Nations (UN) team to interview Hafiz Saeed, the mastermind of 26/11 Mumbai terror attack, residing in Pakistan, were rejected by the country’s consulate in New York. The UN team wanted to interview Hafiz Saeed following a fresh proposal had been moved by Hafiz Saeed to remove his name from the UNSC 1267 sanctions list which is a list of UN recognised terrorists. As is the norm, before removing an individual’s name from this list, the United Nations conducts in-person interviews of the individuals being considered for delisting. However, they were unable to do this in the case of Hafiz Saeed due to Pakistan’s visa refusal. According to sources that confirmed Pakistan’s latest duplicity in the Hafiz Saeed case, it was fearful that Saeed would voluntarily reveal more incriminating evidence against it and their support to various terror organisations operating from its soil, therefore, Pakistan blocked a face-to-face interview of Hafiz Saeed by the UN officials. 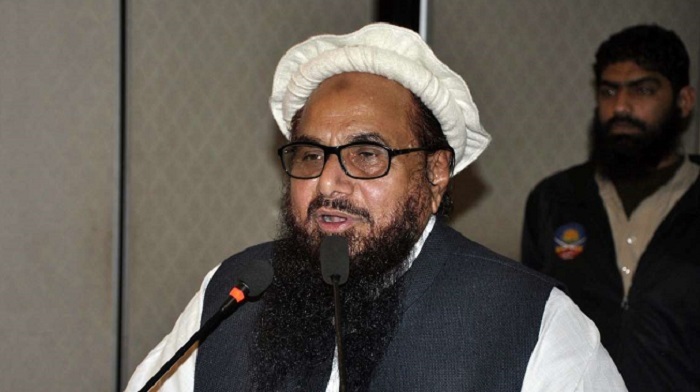 Subsequent to their visa requests getting rejected, the UN ombudsmanDaniel Kipfer Fasciati had to settle for a video interview of Saeed after which a report critical of Pakistan’s behaviour was generated in which the UN officially recommended against de-listing Hafiz Saeed in the UNSC 1267 sanctions list, thereby, dealing a blow to diplomatic efforts waged by Pakistan to protect the co-founder of Lashkar-e-Taiba. Hectic diplomatic parleys by India post Pulwama terror attack have resulted in support from all but one permanent United Nations Security Council member over sanctioning Pakistan-based terror heads Maulana Masood Azhar and Syed Salahudeen. The United States, Russia, United Kingdom and France have been vocal in their support to India’s fight against terrorism and proposal to include these men in the UN sanctions list. However, China remains non committal.